Buying with plastic – HubNut – celebrating the average! Oh gawd. I’ve gone and bought a new car, BEFORE the Land Rover has sold. Well, I’ve left a deposit anyway. The balance needs to wait for a certain Land Rover to finish on Ebay – which it’s close to doing. 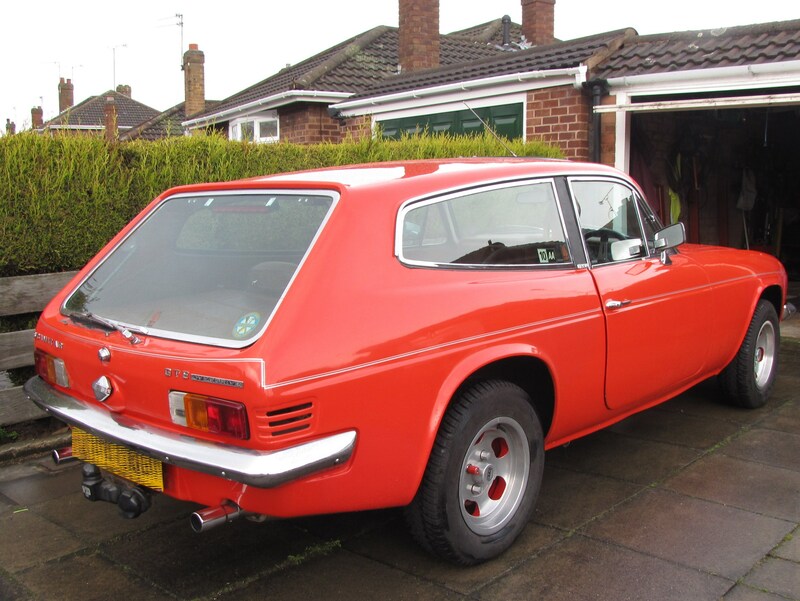 Another new purchase, will this Reliant Scimitar GTE prove reliable? The new car? A 1975 Reliant Scimitar GTE SE5a in a bright shade of red. It seems to be a good one and I’m waiting for it to have a fresh MOT before collection – which hopefully leaves enough time for the Land Rover to sell and for the new owner to hand me a load of cash. I felt I had to move quickly on this Scimitar. The owner may have just been pushing me into a sale, but it sounded like others had spotted what a good buy it could be – it’s had an enthusiastic club owner for the past 14 years, and isn’t wanting for very much at all. Even better – everything seems to work as it should! That’s not always the case with Scimitars. As values are traditionally low, neglect is sadly very much something Scimitars become used to. I will be paying very slightly more than I paid for the Land Rover – and the Scimitar feels like much better value for money. Don’t forget that the Land Rover may have covered half the miles (78k v 153k for the Reliant) but it has no service history with it, and is a touch scruffy in places. It should still do well though – scruffiness is after all a look that suits the Land Rover rather well! Scimitars continue to offer excellent value though. With every parts bin raided, the beauty is that you can still get a huge amount of parts – the drivetrain is Ford, the brakes Rover, the front suspension Triumph TR. The bodywork is rust-free glassfibre while the steel chassis is fairly easily repaired should rust strike – as long as you get on top of it before it eats everything.